Grew up… on the Phantomhive estate in England. Beloved by his mother and father, Ciel had a happy early childhood until tragedy tore his life apart. At the age of 10, Ciel's home burned down, with his parents inside. Living… in the rebuilt Phantomhive estate, now as the Earl Phantomhive. The only other people in the mansion are his butler Sebastian and three other servants. Profession… toy company owner by day, crime-fighter…well, also by day. Besides running the family business, Ciel serves as “the Queen’s Watchdog,” a position that means he's in charge of overseeing England’s underworld. Though he’s only 13, Ciel can solve any crime. Interests… revenge. Ciel’s goal in life is to find out who killed his parents and punish them. When he’s not meddling in the underworld, though, he appears to enjoy chess and eating desserts. As is proper for a young nobleman, he has dancing and music lessons, but he doesn’t much care for them. Relationship Status… engaged. Before his parents died, he was entered into an arranged engagement with Lady Elizabeth. Despite his youth, Ciel truly cares for Elizabeth, breaking his normally cold persona to make her happy. Challenge… finding his parents’ murderers and killing them. In order to do this, Ciel has made a pact with a demon – his butler, Sebastian. Sebastian will serve him faithfully until Ciel has accomplished his goal. At that time, Sebastian will eat his soul. Ciel's search for revenge weighs heavily on him, but he prefers it that way, saying, “Pain tends to heal as time passes, but personally, I don’t want time to heal my wounds.” Even if it's painful, he'd rather accomplish his goals. Personality… no-nonsense and driven. Ciel does not suffer fools gladly. Because of his noble birth and great intelligence, he often treats others as lesser than himself, but he does care for a select few. When he was a young child, he was much sunnier, but trauma caused Ciel to withdraw from the world. Ciel Phantomhive's popularity ranking on CharacTour is #243 out of 5,000+ characters. See our top-ranked characters and read their profiles. In Victorian-era London, on the night of Ciel Phantomhive's tenth birthday, a fire destroyed his manor and killed both of his parents. In a moment of despair, Ceil strikes a deal with a demon - his soul in exchange for revenge. 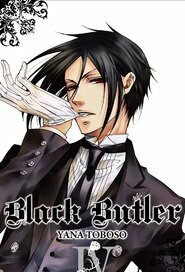 This demon becomes his butler, to protect and serve Ciel until the deal has been completed and calls himself by name of Sebastian Michaelis. One month after the fire Ciel returns from being missing, with his new butler Sebastian. Ceil is now the head of the Phantomhive corporation, handling all business affairs as well as the work as the Queen of England’s guard dog and looking for his parents murders.